Exciting and effective language-learning platform that helps simulate common real-world scenarios and situations. Learn the beautiful Russian language easily in an interactive and immersive manner – much like you would if you were actually traveling through or living in the country. Learn by doing. Navigate along streets and sidewalks, check into your hotel, and find the nearest grocery store. 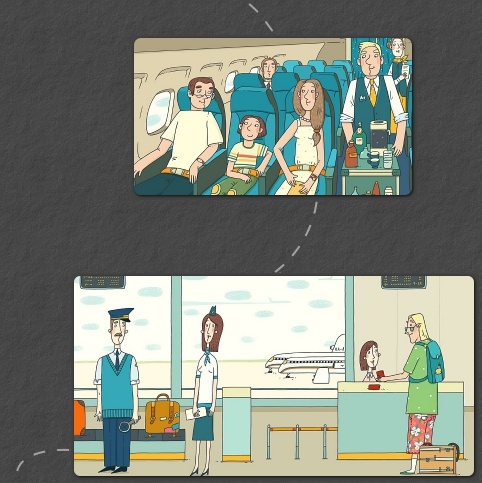 Your language-learning journey will take you through actual traveling scenarios to enhance comprehension and retention. Board a bus, step onto a subway or into a taxi, take a break at the local coffee shop, or visit Red Square to meet friends. 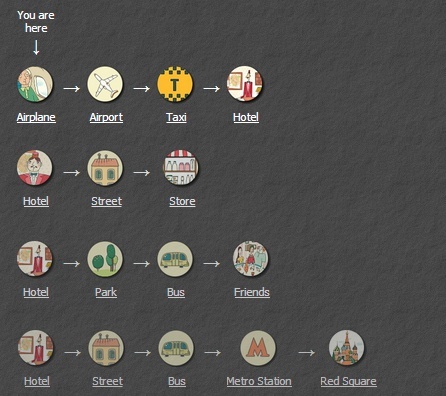 Each destination expands into multiple scenes to keep users engaged and challenged. 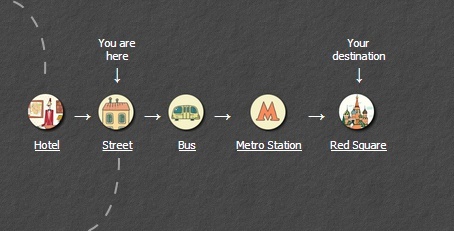 Click Red Square, for example, and follow a simple route from your hotel through the local streets and onto a bus to the subway station, finally arriving at your chosen destination. 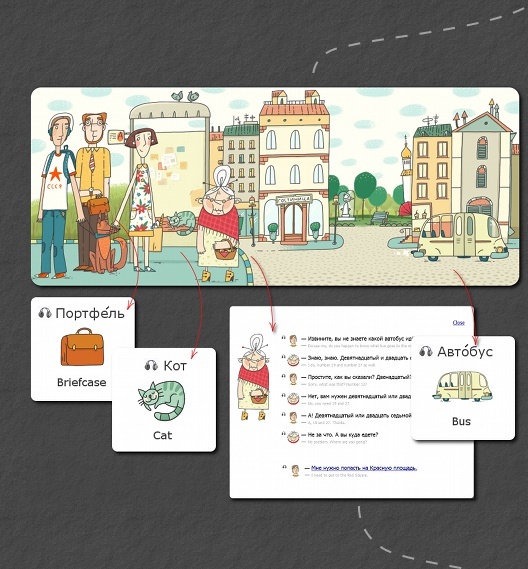 Click characters and objects along your path to hear, repeat, and learn Russian words and sentences. 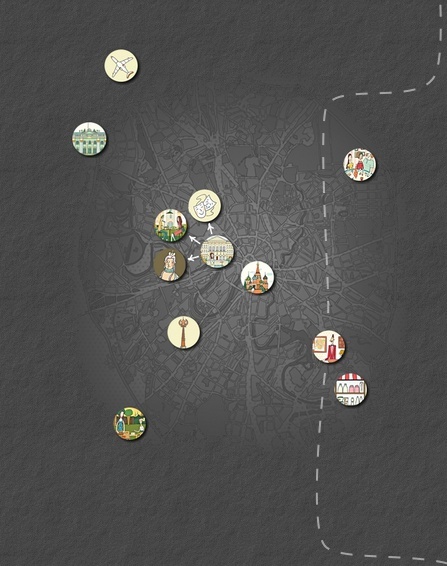 Sequential scenes are thoughtfully designed to help users build on their existing vocabulary, retain knowledge through repetition, and tour the country logically within familiar traveling scenarios. 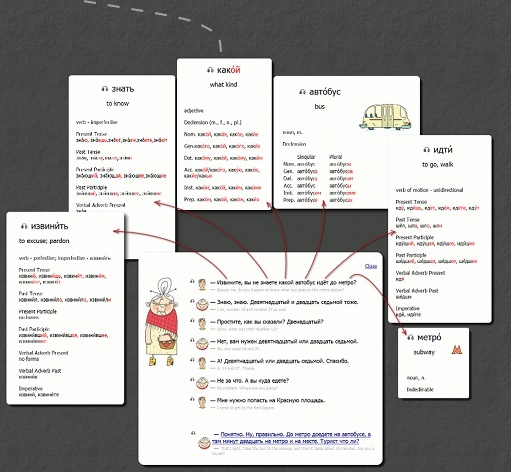 The expansive built-in dictionary provides essential language learning information and includes hundreds of the most common Russian words. Just a click away, the Language Metropolis dictionary helps users better retain new words by combining text definitions and pronunciations with character and object images plus spoken guides for authentic articulation.  Здравствуйте. Мне нужно попасть в центр города, в гостиницу "Спутник". Сколько это будет стоить?  Hello. I need to get to city centre, to the hotel "Sputnik". How much would that cost?  Нет, вам нужен девятнадцатый или двадцать седьмой.  No, you need 19 and 27.  Поезд отправляется через пять минут. Пассажиры, пройдите в вагон, пожалуйста.  The train is leaving in 5 minutes. All passengers please take your seats.  Можно мне бублик с маком?  Can I get a soft bagel with poppy seeds? There are 40 unique scenes, each with dialogs, tests, grammar and culture comments. Language Metropolis creates an engaging and entertaining world where students can hone their language skills with actual conversations with shopkeepers, while navigating the city, and dining at restaurants. • Master native accents and intonations with ease! • Practice on your time – anytime, anywhere! • Prepare for a smoother traveling experience! Your exciting education journey is just moments away! Sign-up for Language Metropolis and step into an innovative, immersive language-learning environment where you’ll navigate through major metropolitan centers and communicate with lively locals. 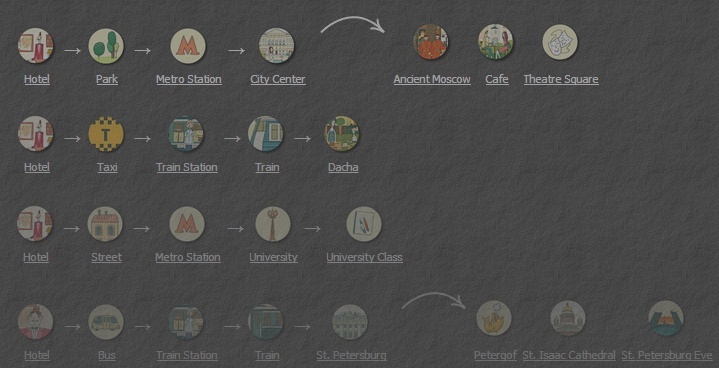 Language Metropolis is quite possibly the next best thing to learning the language in Russia!